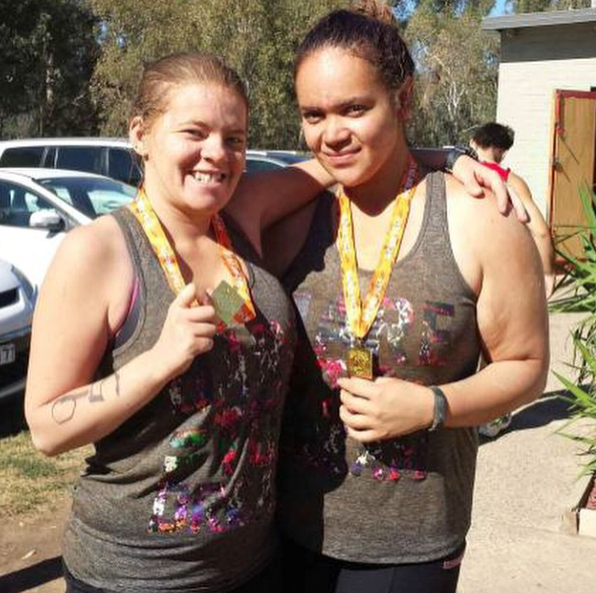 Mad Cow Mud Run is a 12km obstacle course that took place in Shepparton, regional Victoria on labour day weekend for 2015. An obstacle course that had you doing 27 obstacles and kept you on your toes. What I love about obstacle courses is not knowing whats next, yes you can read about the course before the event but when you get there your adrenaline gets going and excitement takes over that you forget what the obstacles were and in what order. After you turn corners or walk, jog or run through the town you are then hit with the next obstacle to challenge yourself with. 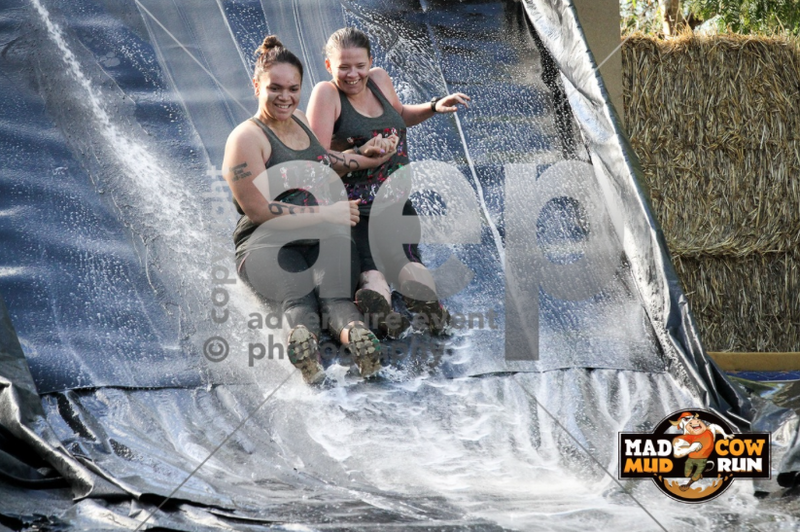 Mad Cow Mud Run was the second obstacle course I have participated in. 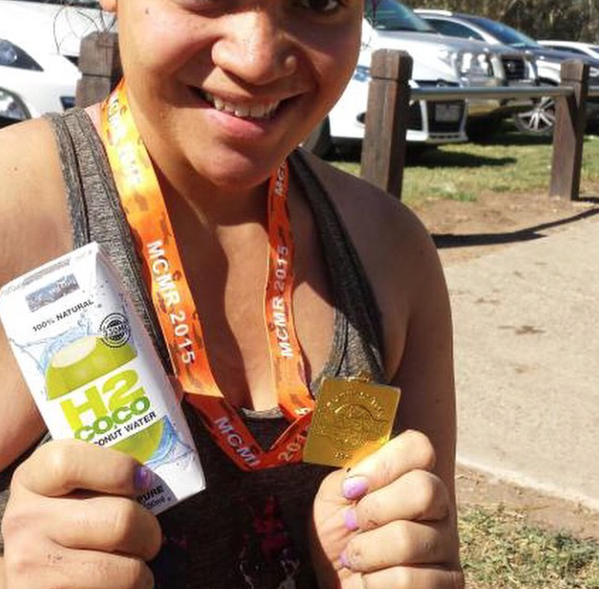 I have volunteered at obstacle course races before but never signed myself up to take part in it because I didn't think my fitness levels were at the right stage. Wrong - these obstacle courses are for all fitness levels and I wish I just through myself in the deep end years ago so I could have many metals in my collection now. Obstacle Courses are designed for all fitness levels and as long as you give things a go you are still a winner. There are obstacles that I looked at on the course information pre-race and thought there is no way I could do that but then when I was in the actual race I just did it. 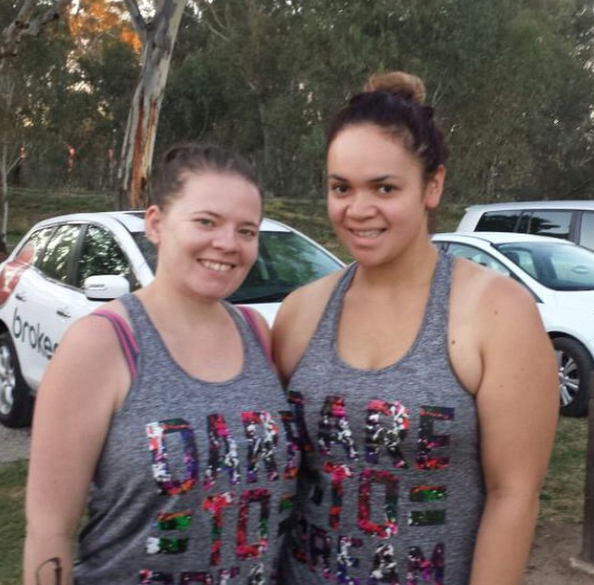 Two friends and I signed up mid/late last year to the Mad Cow Mud Run and were counting down the days for ages to be able to tackle together but unfortunately one of the friends had to pull out due to health issues so it left my friend El and I as a duo for 'Buns On The Run' team. Our team name is an inside joke which we got pulled up on at the Mad Cow Mud Run and the microphone was held to my face to explain what it meant in-front of everyone there in which my response was just 'It's to do with our bodies' and in saying that I bet you can all guess how the team name came around now. El & I were in the third wave of the day to head out on course. 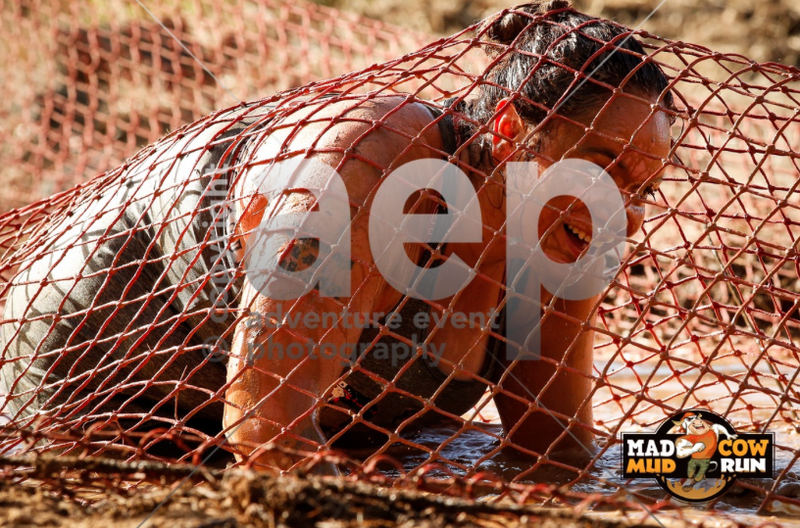 A 5:30am wakeup call, would have been even earlier if we drove from home to the course venue in the morning but we were smart cookies with booking a hotel in Shepparton months before it all filled up due to the Mad Cow Mud Run and an AFL game that was on that labour day long weekend. Mud Crawl under the nets - those rocks in the mud are killers on the hands and knees: BEWARE. 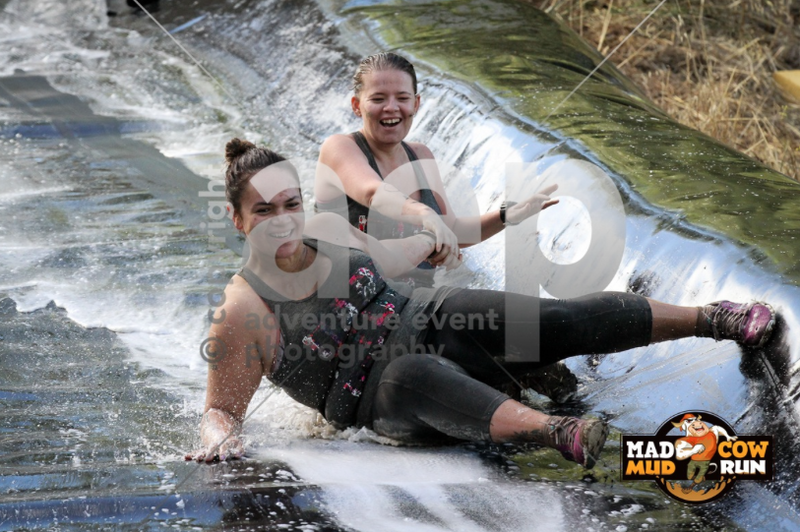 El & I reaching the bottom of the Big Water Slide. Obstacle course races will push you to your limits, will challenge you to do something out of the normal fitness routine and leave you feeling fantastic at the end. When you finally get across that finish line - no matter how long it took you and you are presented with your metal after that: 'FINISH LINE' sign it's a feeling thats really indescribable. Mad Cow Mud Run will be back in 2016 for labour day weekend again - keep updated with when tickets can be purchased for the event via their website. The earlier you register the cheaper registration prices will be. 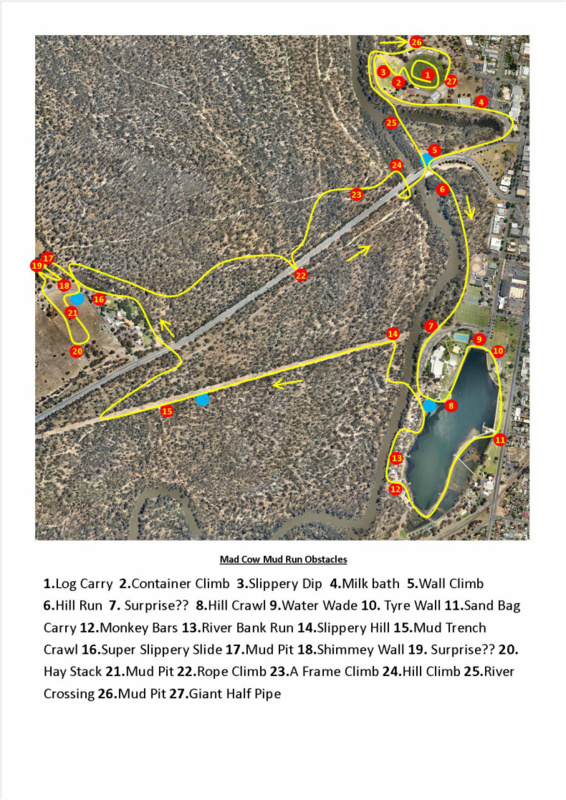 Mad Cow Mud Run also runs a course for the kids - be sure to check information on their website if this is of interest to you. 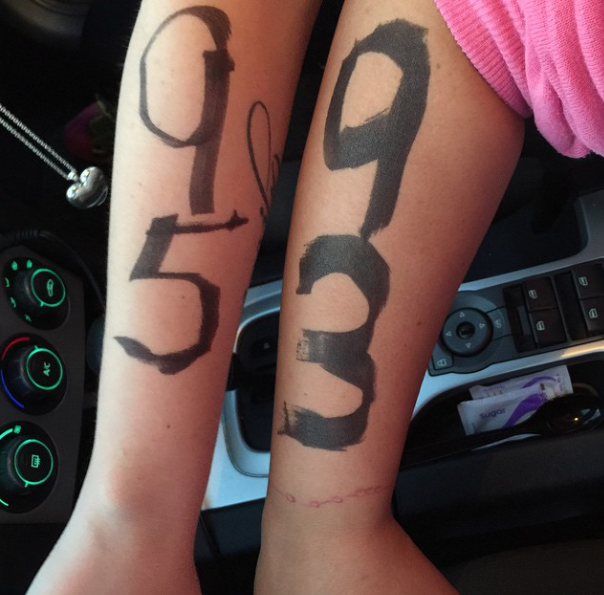 See you next year Mad Cow Mud Runners!